The title of Sebastián Lelio’s new film might seem a bit on the nose. It’s a fantastic movie. 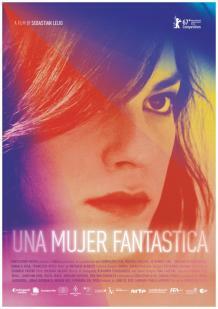 Daniela Vega, the star, is fantastic in it. Quote me in the ads, with exclamation points if you must. My work here is done. O.K., not really. “A Fantastic Woman” is at once a straightforward story of self-assertion and defiance and a complex study of the nuances of identity. The complications extend to the title. Marina (Ms. Vega), a waitress and sometime cabaret singer who lives in Santiago, Chile, seems at first to fulfill the romantic fantasies of her lover, Orlando (Francisco Reyes). Later, her daily routines — and Mr. Lelio’s adherence to the conventions of realism — will be disrupted by moments of fantastical spectacle and surreality. And in the course of a series of ordeals that begins with Orlando’s death, many of the people Marina encounters will question whether she’s really a woman at all. Like the heroine of Mr. Lelio’s previous film, “Gloria” (2013), Marina insists on her own dignity — her basic rights to respect, safety and the pursuit of pleasure — in the face of condescension, indifference and contempt. Their situations are not identical: Gloria is a middle-aged, upper-middle-class, divorced mother; Marina is young, transgender and from a modest background. But they both rebel against a stubbornly patriarchal society that pushes them to the margins and expects them to be content with a half-invisible, second-class status. A Fantastic Woman (2017) - Official Trailer Video by SonyPicturesClassics Almost as soon as Marina arrives at the hospital with Orlando — who has suffered an aneurysm in the middle of the night — she is treated less as a person than as a problem. Doctors and security officers use the masculine pronoun to refer to her, and pepper her with prying, suspicious questions. She is visited at work by a detective (Amparo Noguera) whose due diligence slides into harassment and humiliation. Orlando’s former wife (Aline Kuppenheim) and adult son (Nicolás Saavedra) at first regard Marina with icy tolerance. They are still clearly baffled and appalled that Orlando was involved with her, and the film is sympathetic to their anguish and confusion without excusing their hostility. Marina, too, tries to give them room to grieve, but the distraction they demand turns into something else: the denial of her love for Orlando and her right to mourn him. She is barred from his funeral and threatened with eviction from the apartment they shared. Orlando’s son takes the dog. As things get uglier, Marina is increasingly unprotected and alone. It would be absurd to minimize the political impulse and import of “A Fantastic Woman,” or to universalize its specific, precisely observed depiction of injustice. Marina is, to some degree, a representative woman, whose experiences reveal a deeply held prejudice hardly limited to Chile. But Mr. Lelio and Ms. Vega are less invested in her symbolic status than in her living presence. She has a charisma that defies pity and a sense of poise that can be both intimidating and heartbreaking. 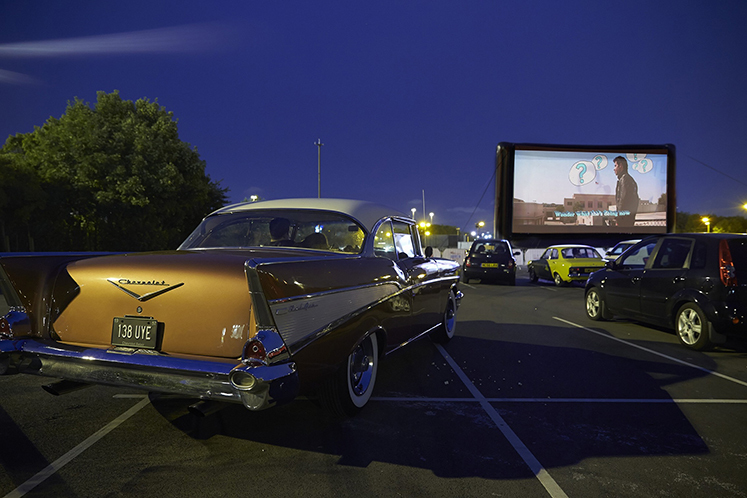 Psychologically astute and socially aware as the film is, it is also infused with mystery and melodrama, with bright colors and emotional shadows. Almodóvarian and Buñuelian grace notes adorn its matter-of-fact melody, and its surface modesty camouflages an unruly, extravagant spirit. You may not realize until the very end that you have been gazing at the portrait of an artist in the throes of self-creation.